Substitute Lamb cutlets add $3 per person. Add on to list add $5 per person. Substitute Chicken tenderloin skewers with homemade Thai green curry sauce $2 per person. Add on to list $4 per person. Substitute Steamed chicken or pork lotus buns with Asianslaw and chilli mayonnaise $2 per person Add on to list $4 per person. 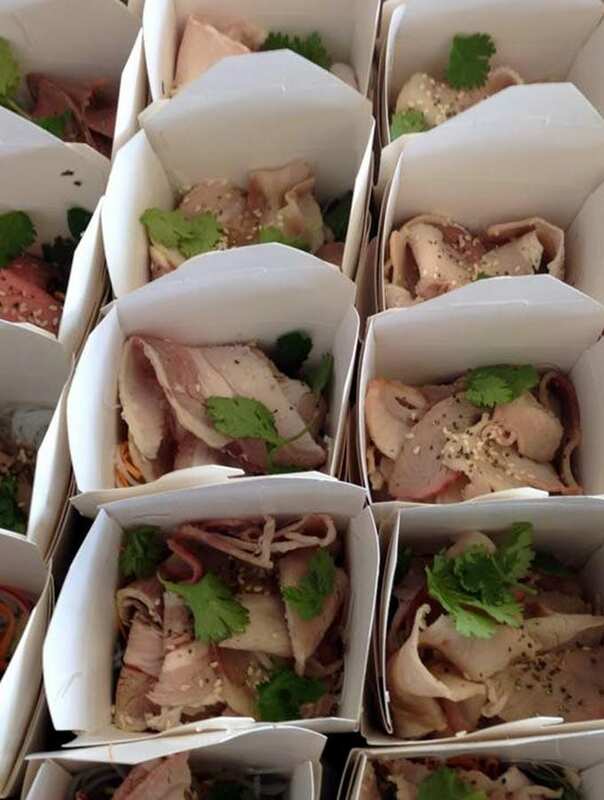 Substitute Rice paper rolls (Tandoori chicken, avocado + tofu, roast pork + hoi sin) $1.50 per person. Add on to list $3. Substitute freshly shucked A grade Sydney rock oysters $1.50 per person. Add on to list $3 per person. Substitute BBQ King prawn skewers $2 per person. Add on to list $4 per person. All flavours imaginable and gluten free options with whipped flavoured icing, ganache or smooth fondant. You can mix and match canapés and standing dishes – call us to discuss.